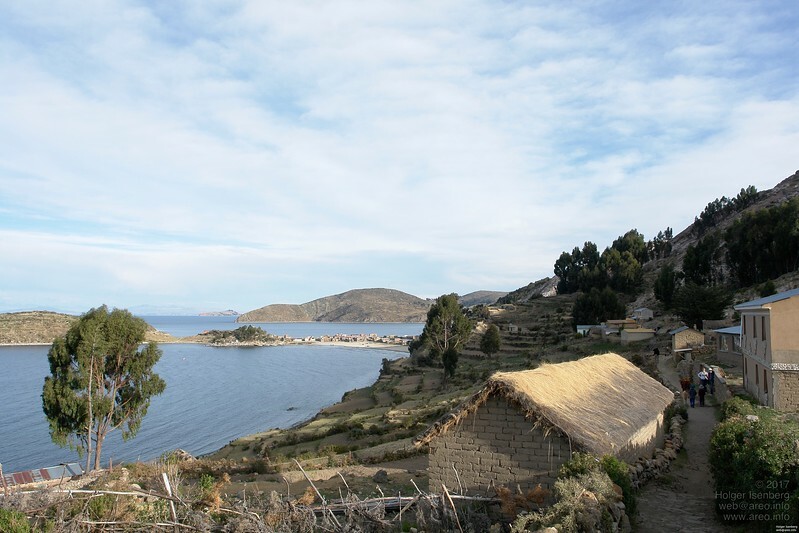 Village on Isla del Sol. They have electricity there, but no cars. Houses are today made from soft adobe bricks and the field boundaries are simple dry brick walls. The knowledge or resources for the megalithic constructions have been lost already hundreds of years ago.